If a list of deadly diseases, against which humans have fought for ages, was to be compiled, the respiratory disorder called “Pneumonia” would have been included as one of the leading causes of mortality at all ages. 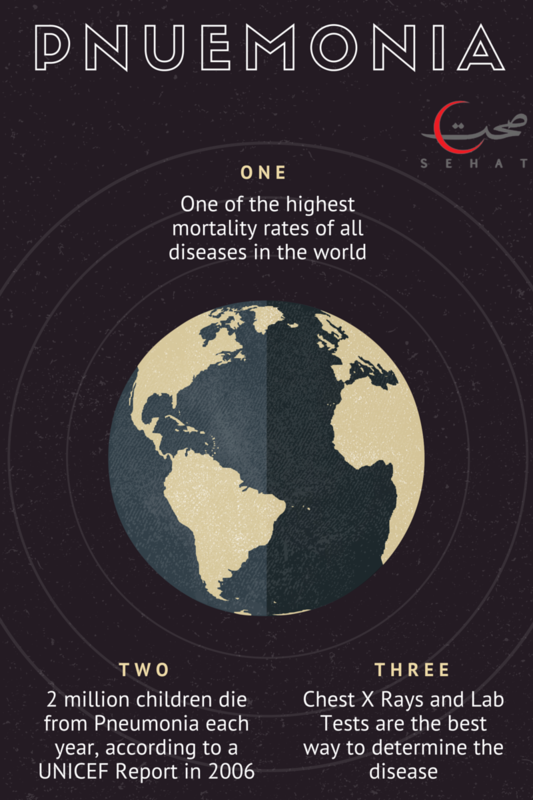 According to report being published by UNICEF in the year 2006, over 2 million children die from Pneumonia each year, ranking it as one of the most harmful diseases that kills more children than any other form of illness. 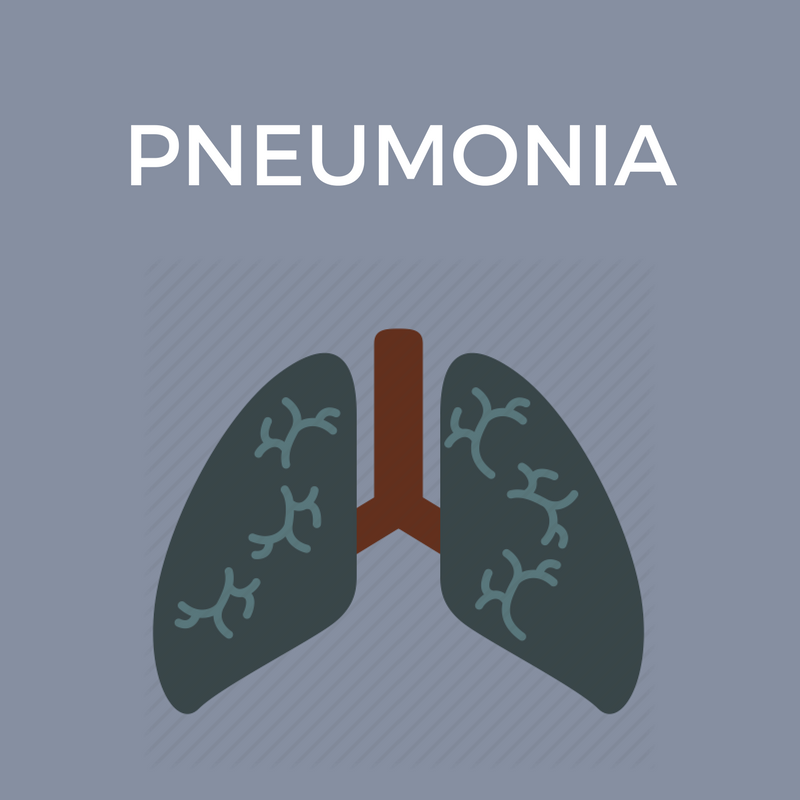 Pneumonia, one of the severe forms of lung infections, involves the inflammation of the lung parenchyma together with congestion being caused by viruses, bacteria or other irritants. Although, this respiratory disease is mainly caused by microorganisms, it can be classified into various types as described below. Depending upon the source of infection, the infectious agent or the primary site of the pathological process, Pneumonia can be differentiated into various types such as the Community-Acquired Pneumonia, Hospital/Healthcare-Acquired or Nosocomial Pneumonia and the one being caused by the immuno-compromised host. Some of the most common infectious agents causing Pneumonia include virus and bacteria such as Streptococcus Pneumoniae, Haemophilus Influenzae, Respiratory Synctial Virus (RSV), etc; however, the occurrence of these pathogens may differ in both the community and the healthcare settings. An essential element in treating Pneumonia is the early diagnosis of the clinical symptoms being associated with the disease. While cold and flu, high fever, chills and cough with sputum are the primary symptoms of Pneumonia, an individual suffering from this lung infection may also experience pleuritic pain, fatigue, shortness of breath, headache and sweating. When it comes to Pneumonia, the earlier the disease is diagnosed; the better it is for the patient. Although, its diagnosis can be easily made on the basis of above-mentioned clinical symptoms, Chest X-rays and laboratory tests are used to confirm and determine its presence and severity. Some of the diagnostic methods that are available to identify the disease include chest radiography and CT scan, microbiological and haematological studies, ultrasonography, studies of pleural fluid, bronchoscopy and lung biopsy. Knowing what exactly caused the respiratory disease and its clear diagnosis helps the patient in acquiring a proper medical treatment that may vary according to the severity and type of lung infection. While different kinds of intravenous antibiotics may be used for treating Pneumonia, other supportive measures that speed up the recovery process may include proper hydration, chest physiotherapy, oxygen supplementation and respiratory therapy. Macrolides and Cephalosporins are a few examples of antibiotics being administered to the patients. Moreover, patients suffering from Pneumonia are also advised to get plenty of sleep and drink lots of fluids for a quick recovery. Pneumonia can be prevented with the help of vaccines such as Prevenar 13, which provides active immunization against 13 strains of Streptococcus pneumoniae serotypes 1, 3, 4, 5, 6A, 6B, 7F, 9V, 14, 18C, 19A, 19F, and 23F. Being manufactured by Wyeth Pharmaceuticals (a subsidiary of Pfizer), Prevenar 13 is a capsular vaccine recommended for children aged 6 weeks through 5 years and for adults aged 50 and older. The use of vaccines such as Prevenar 13 has helped a great deal in reducing the incidence of Pneumonia. Pneumonia is one of the highly lethal respiratory infections affecting millions of people worldwide every year and still continues to be a global threat; however, an early diagnosis and administration of proper treatment methods including antibiotics and vaccination can help in improving the lung function and in eliminating the disease to an appreciable extent. 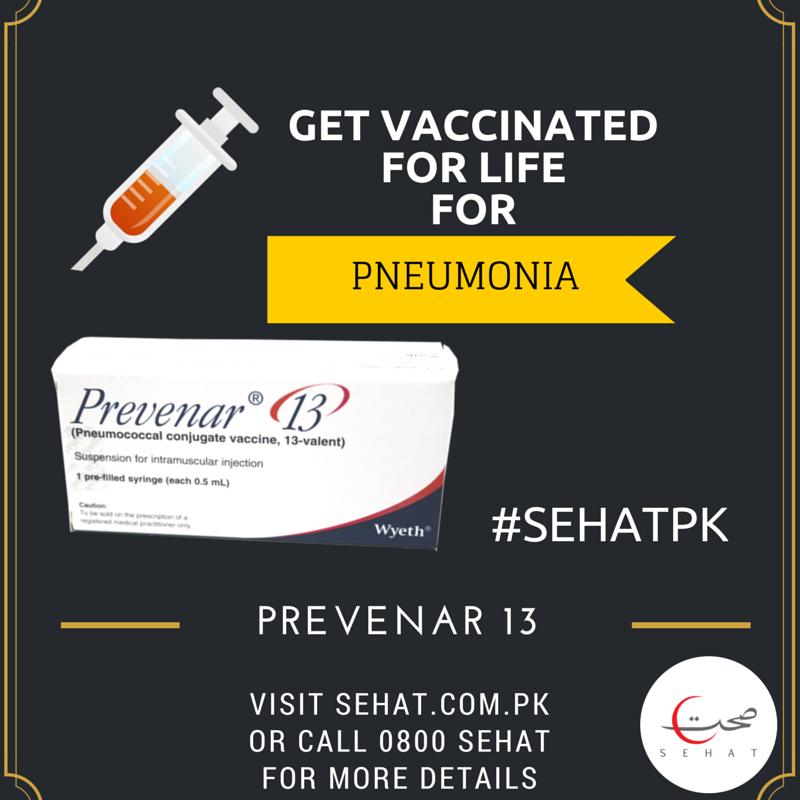 Prevenar-13 is available from sehat.com.pk at this link. Grossman, Ronald and Ost, David. Diagnosis and Management of Pneumonia and Other Respiratory Infections. Professional Communications, 2006. Pneumonia: The Forgotten Killer of Children. UNICEF, 2006.